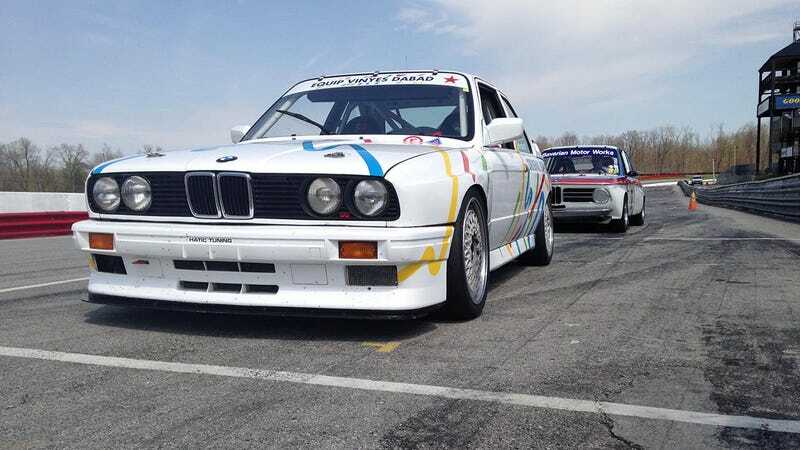 The problem with driving a Group A E30 M3 race car on the track is that you'll develop a terrible case of E30 lust. Incurable, painful lust. That's because Group A cars are sublime but push deep into the six figures on a bad day, your old E30 M3 and its new owner are sending you postcards from sunny California, and your own fleet of race and street machines isn't getting any cheaper or less needy. All this is doubly true if you've got a buddy in the UK by the name of Chris Harris who's kindly offered you a go in his E30 M3 Sport Evo. In Britain. Don't envy Sam. This is going to get worse before it gets better.